Have you ever wished that your teeth were whiter? We understand. We all want a bright, white smile that we’re happy to show off to the world. But many things can cause tooth discoloration — from your daily cup of coffee to your nightcap glass of red wine, or delicious tomato sauce to yummy berries. What can you do to take your teeth from dull to white? Our dental office in Boerne is here to help. If you’re looking for a fast, dramatic tooth whitening option, consider a professional smile whitening from your dentist in Boerne. A professional tooth whitening can transform your smile quickly and can even make your smile several shades whiter in just one treatment. 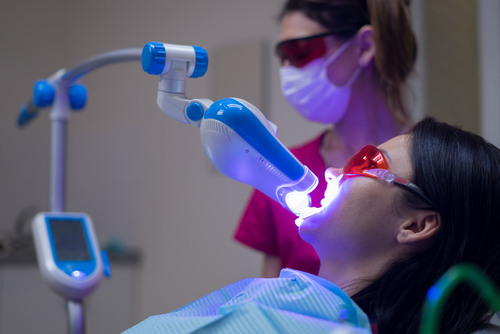 While typically more expensive than over-the-counter whitening products, professional smile whitening can give you the immediate results you’re looking for. There’s a certain appeal to over-the-counter smile whitening products. They’re often cheaper than a professional whitening, and they can brighten your teeth. However, results usually appear over time and are certainly not immediate. Additionally, there are some risks involved with over-the-counter whitening strips and trays. For example, if the solution stays on too long or it sits on your gums, it can lead to damage and increased sensitivity. There are times when neither over-the-counter whitening nor professional whitening is enough to get you the look you want. In fact, there are some types of stains that don’t respond to the whitening solution and will never go away no matter how much you try. When this happens, the best way to whiten your smile is through dental veneers. Dental veneers are thin sheets of porcelain that are fixed to the surface of your teeth covering up any imperfections, including stains. When deciding on the best way to whiten your smile, start by talking with your dentist in Boerne. They’ll be able to help you determine what kind of staining you have and if a whitening product will work for you before you invest. If you’re looking to brighten and whiten your smile, call our dental office in Boerne to schedule an appointment. We’ll work with you to determine how white you want your teeth to be and then we’ll discuss the best option for you. As we near Labor Day, many people will begin packing away their white clothes until next year. After all, wearing white after Labor Day is typically considered a fashion faux pas. However, at our dental office in Boerne, we believe that a white smile never goes out style, and you should be proud to show yours off all year around. But what do you do if your smile isn’t as white and bright as you’d like? Join us as we talk about a few do’s and don’ts to getting a white smile you love. If you’re unhappy with the color of your smile we recommend scheduling an appointment with your dentist in Boerne. At this visit you and your dental team will discuss what it is you don’t like as well as what you’d like to see. This will allow your team to make the best recommendation for you. One option for getting a brighter smile is a professional smile whitening treatment. Done either at your dentist’s office or at home with specialized whitening gel, a professional smile whitening can boost your smile’s look better than the over-the-counter whiteners. Another treatment option that can help transform your look is dental veneers. 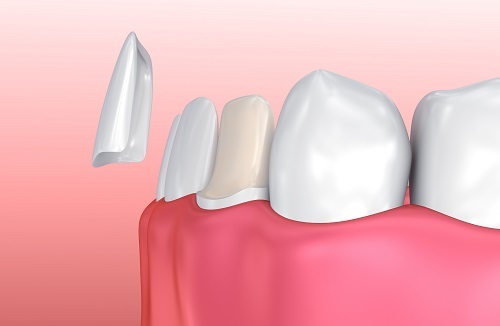 These thin pieces of custom-create porcelain cover your natural teeth and can not only give you a whiter smile, but can also fix minor cosmetic concerns such as chipped teeth. After you complete your treatment, whichever one you choose, there are few things you’ll want to do, and several that you’ll to avoid, in order to keep your new look as white as possible. DO use straws whenever possible, especially if you’ll be drinking soda, tea, coffee or anything that may stain teeth. Using a straw helps keep the liquid off of teeth, limiting the chance for staining. DON’T smoke or use tobacco of any kind. Tobacco can yellow your teeth or even cause brown spots. Of course, it also increases your risk for oral cancer, gum disease, and other whole-body health problems. DON’T forget to brush and floss every day. Removing any plaque and bacteria from the teeth will help keep stains away and protect your smile against decay. Decay will also cause teeth to discolor if not treated. DO maintain regular visits with your dentist to help remove plaque and tartar buildup. Too much plaque or tartar makes it easier for staining agents in foods and drinks to stick. The stains are then more difficult to remove. If you’re ready to sport a bright, white smile this Labor Day and all year around, we welcome you to call our Boerne dental office to schedule an appointment today. We’re always here to help! At our Boerne dental office we often have patients who are unhappy with the way their smiles look. But thanks to cosmetic dentistry, there are a number of ways that we can help transform the appearance of smiles. One of the most common and versatile cosmetic dentistry options available are dental veneers. Consultation. The first step to getting dental veneers is to set up a consultation with your dentist in Boerne. The purpose of this appointment is to have an honest conversation about what you’d like to change about your smile to see if dental veneers are the best option for what you want. You will also review a treatment plan, discuss costs, and schedule your next visit. You don’t need to live with a smile you’re just not happy with. Cosmetic dentistry can enhance your smile, your confidence, and your life. Call our dental office in Boerne to schedule a consultation today. Every March 17th, we’re all a little bit Irish and join in the celebration of St. Patrick’s Day by putting on our best green outfit and possibly meeting up with friends at a local bar. 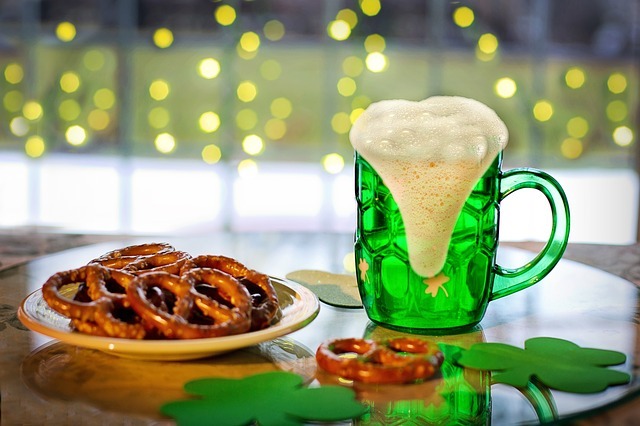 As one of the largest drinking days of the year, our dental office in Boerne wants to remind our patients and neighbors to enjoy the holiday responsibly and to make them aware of a few unwanted side effects of all that beer (especially the green kind). We typically recommend regular dental visits twice a year. If it’s been longer than six months since you’ve been to a Boerne dentist, we welcome you to schedule an appointment with us today to help keep your smile in good health. There’s recently been a surge in the popularity of using charcoal toothpaste to get a whiter smile. 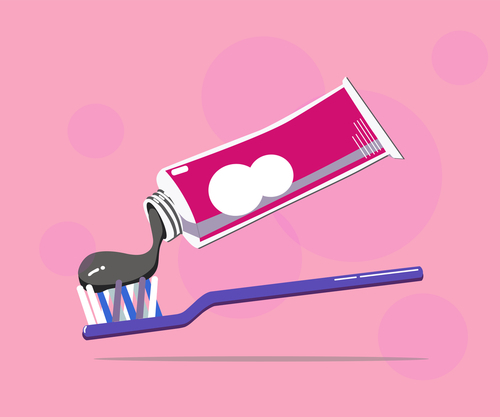 Promoters of the charcoal toothpaste trend claim that it can help whiten teeth effectively without the risk of increased sensitivity that may result from using other products. But does it really work? Join the team at our Boerne dental office as we dive into the truth. As always, our dental office in Boerne is happy to answer any questions you may have about the best way to whiten your teeth. Give us a call today to schedule an appointment! A little too crooked or a little too gapped… a smidge too yellow or a lot not right… there are plenty of reasons you may be unhappy with your smile. If you’re one of the many people who doesn’t like your smile, you’ve come to the right place. The wide range of cosmetic dentistry options at our dental office in Boerne can easily fix some of most common concerns people have about their smiles. The most common thing people dislike about their smiles is the color. The simplest way to get a brighter, whiter smile is through a professional smile whitening treatment. There are plenty of options available, from an in-office treatment to a take-home solution from your dentist, and even over-the-counter products. Make sure you choose a product that’s earned the ADA Seal of Acceptance and talk with your dentist before performing any whitening treatment. If you’re someone who is more concerned about chipped, crooked, or deeply discolored teeth, dental veneers may be a better solution for you. These thin pieces of ceramic are adhered to the front of the tooth surface to cover up any imperfection. They’re also custom shaped for each person and tooth to create an incredibly natural appearance. An overbite, underbite, or crooked teeth can absolutely cause someone to be unhappy with their smile. But thanks to the many orthodontic options available, a smile doesn’t need to stay that way. Whether it’s traditional braces, clear braces, or plastic aligners, orthodontic treatment is sure to shift a smile into a look you’ll love. When there are several concerns about the way a smile looks, it may be an appropriate time to consider a smile makeover. During a smile makeover, your dentist takes a comprehensive look at all of your smile concerns and develops a custom treatment plan that combines a few cosmetic dentistry procedures. Working closely with a dentist you trust can truly transform your smile into one you’re proud of. Most importantly, the best thing you can do to get a smile you love is to brush and floss everyday and maintain regular visits with your dentist in Boerne. A proper dental hygiene routine can go a long way in keeping your smile bright, white, and healthy. You don’t need to settle for a smile that doesn’t make you happy. Give our Boerne dental office a call to set up a cosmetic dentistry consultation. We have solutions to fit every need and will be happy to work with you in creating a beautiful smile. Most of us have heard that drinking red wine may have heart-healthy benefits. And while there’s still some debate on just how true that is, you may find it surprising that there may just be some oral health benefits to partaking in glass every now and then. 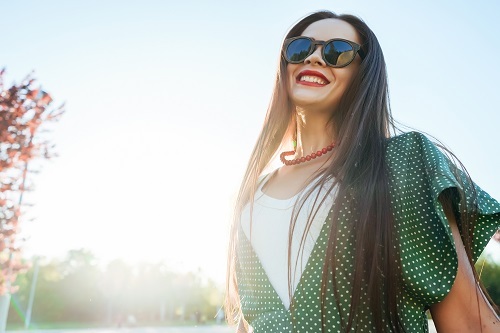 Our dental office in Boerne explores these potential smile benefits as well as some not-so-good side effects in this week’s blog. Studies conducted in several areas throughout the world have suggested a positive link between drinking red wine and a decrease in tooth decay. One of these studies published by the Journal of Agriculture and Food Chemistry took bacteria rich biofilm from the mouths of several volunteers, which they then dipped into wine. What they found was that the wine was effective at getting rid of the bacteria. With less bacteria around to weaken enamel and cause decay, one could also assume a lower risk for cavities. However, it might not be all good news. In most of the studies surrounding the positive correlation between red wine and dental health the researchers removed the alcohol content prior to testing. This is important to note since we know alcohol tends to dry out the mouth. A dry mouth has the opposite effect of fighting off decay and actually supports a decay-friendly environment. Red wine also has a tendency to transform teeth from a bright white to a dull or discolored appearance. While that can usually be reversed through whitening or cosmetic dentistry from your dentist in Boerne, it’s still a negative in our book. Finally, the acidity of wine can wear down tooth enamel and leave teeth exposed to, you guessed it, decay. We don’t really have a definite conclusion on whether the potential positives of red wine outweigh the negatives. Essentially, more research is needed for us to get on board with supporting the claim that red wine is a good way to fight decay. But in the meantime, we’re not here to tell anyone to stop enjoying their occasional glass of wine, of course. Just enjoy responsibly, keep an eye out for any tooth discoloration, and follow the tips below. Alternate drinking wine with water. If you can, it wouldn’t hurt to rinse your mouth out with water occasionally, too. Hold off on brushing immediately after drinking wine to keep the acid from being spread throughout your entire mouth and all over your teeth. 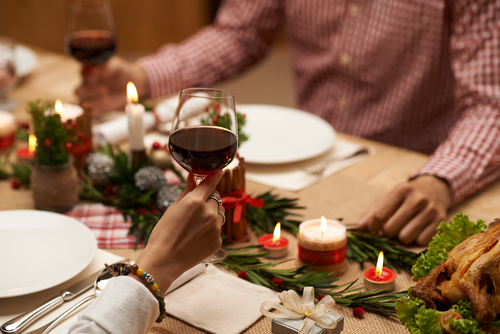 If you’re a red wine lover and happen to notice some tooth discoloration, call our Boerne dental office to schedule a professional whitening or cosmetic dentistry treatment to get your smile back to a vibrant white. Or if you’re just looking for a new place to call your dental home, we’re always welcoming new patients and would love to see you. Schedule a visit with us today! This Thanksgiving, we want to switch it up a bit and challenge all of our patients to think outside of the box when sharing their thanks with friends and family around the dinner table. Everyone gives thanks for friends, family, overall health, and perhaps love. And rightfully so. But at our dental office in Boerne we want you to give a few reasons to be thankful for a healthy mouth. When our smiles aren’t as white as we’d like or as healthy, they aren’t an accurate representation of who we are. If we aren’t proud of our smiles, we tend to shy away from cameras or laugh or smile with our mouths closed. This can negatively affect your entire mood. However, a bright, white, healthy smile can allow you to laugh and speak freely without worry or embarrassment. Having a brilliant grin boosts confidence and can certainly affect your mood in a positive way. If you aren’t totally happy with your smile, talk to your dentist in Boerne about cosmetic dentistry options that can help. At our Boerne dental office, we’re always here to help get and keep our neighbors’ smiles healthy. If you’re in need of a dentist, we welcome you to give us a call. At my dental office Boerne, we want you to not only have a smile you’re happy with, but also help you get it safely and effectively. Baking soda is often promoted as an effective way to whiten teeth, and while it can eliminate some staining, there are several things you should know about the technique before giving it a shot. 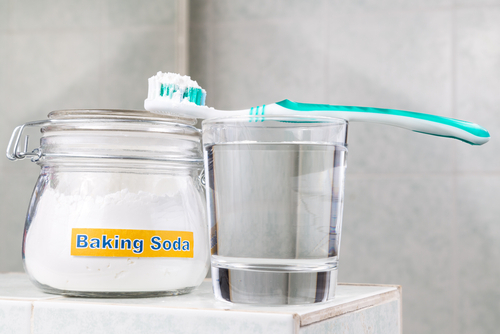 Yes, baking soda has been proven to remove some types of tooth staining, but not all. Since baking soda is abrasive by nature, it can basically scour away minor surface stains and help give your smile a whiter appearance. But if teeth have more severe staining, or staining that actually resides below the tooth surface, baking soda probably won’t work. If this is the case, you may find an in-office professional whitening treatment or cosmetic dentistry, like veneers, more effective. Talk with your dentist in Boerne to figure out what’s best for you. If you desire a smile that’s whiter, give my Boerne dental office a call today to schedule an appointment. We can work together to determine which whitening treatment is best for you. Welcoming patients from Boerne, Fair Oaks, The Dominion.